Two types of deductibles are associated with auto insurance -- compulsory and voluntary, says Animesh Das, head of product strategy, Acko General Insurance. Most people give a lot of thought to purchasing a vehicle, but not so much to buying auto insurance. This lack of interest could be due to the perception that insurance is complex, lack of information, paucity of time, or a negative experience associated with claims. The auto insurance industry has taken cognisance of these challenges and has revamped its offerings by going digital for a hassle-free experience. Digitisation empowers policyholders to make an informed choice, choose the best-suited policy, and also save money in the process. With insurers going digital, auto insurance has become simple and convenient. You can purchase or renew auto insurance from either an insurer's website or from a web aggregator. The process is similar to shopping for an item on your favourite e-commerce platform. Online policies are priced lower without compromising on the scope of the cover. Some insurers also offer exclusive offers. Companies are able to sell their policies cheaper online as these are direct sales that do not involve a middleman, and they also save on operational costs. Insurers transfer a part of their savings to customers, making the online product cheaper for them. First-time car and bike owners generally purchase the insurance policy that the vehicle dealer suggests. At times, a dealer may offer discounts on the vehicle or free accessories on the condition that the buyer purchases his insurance policy at the showroom. In most cases, the cover purchased from the dealer is expensive and may also lack certain essential features. You may have been offered unnecessary add-ons while essential add-on could be completely missing. When your policy comes up for renewal, review its coverage. There is no need to go for riders that are not going to be beneficial to you. For instance, if you mostly travel alone, insurance covering a co-passenger is inconsequential. Such add-ons further increase the cost of insurance. Opt only for add-ons that are useful. A zero-depreciation cover, for example, can save you money in case of claims. Vehicle owners are rewarded with a no-claim bonus (NCB) by insurers for not raising a claim during the policy period. NCB is offered as a discount on auto insurance premium while renewing the policy. This NCB is incremental in nature and can go as high as 50 per cent, provided you do not raise a claim for five consecutive years. Even when changing your insurer, the new company will consider the entire NCB and offer a discount on the premium. If you are changing the insurer, the new one might want to inspect the vehicle before issuing the policy. Don't start searching for insurance close to the expiry date. Do it in advance so that you have enough time to finish the formalities. If the insurance cover is renewed after expiry, in certain cases you could even need to shell out a higher premium. If you do not renew your policy within 90 days after its expiry, you will lose out on the accumulated NCB as well. Installing an anti-theft device on your car can not only act as a precautionary measure against theft but can also reduce your auto insurance premium. Insurance companies usually provide a discount on premium if you have installed such a device. Make sure that the installed device is certified by the Automotive Research Association of India. Only then will you be able to avail of the discount. Some insurance companies offer a discount on car insurance premium to members of the Automobile Association of India. The membership comes with several benefits such as breakdown assistance, car battery installation with doorstep service, and several others. Check out on the internet all the benefits of becoming a member and then decide whether you want to purchase the membership. Two types of deductibles are associated with auto insurance – compulsory and voluntary. Compulsory deductible is the amount you contribute in case of a claim. Voluntary deductible is the amount over and above the compulsory deductible. If you opt for it, you convey to the insurance company that you are willing to contribute a certain, pre-decided amount in case of a claim. As a result, the insurance company reduces the insurance premium space. Choosing a voluntary deductible means that you will receive a lower claim amount. As the entire point of insurance is to minimise losses, keep in mind the financial implication of the voluntary deductible on you before making this choice. Note that this process varies from insurer to insurer. The tips mentioned above may or may not be communicated upfront by insurers on their Web sites. You can, however, get in touch with a company executive to know more about discounts. Insurers, for example, do not advertise that they provide discounts for installing anti-theft devices. But they might provide a discount if you request them for it by calling them or sending them an email. Make an informed choice when renewing your insurance. Clarify all your doubts with the insurer. Understand the inclusions, exclusions and the extent of coverage. Driving a vehicle without a valid insurance policy is a punishable offence. An expired auto insurance policy is considered invalid. Renew your policy ahead of the deadline. But above all, compare what's available before you write a cheque. 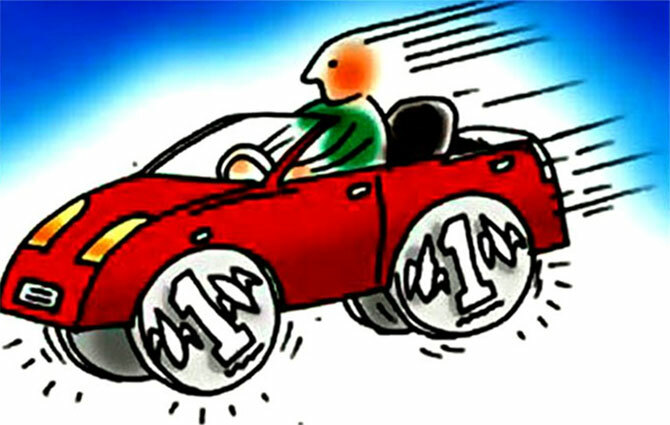 Zero depreciation: Provides full claim on the value of the parts that have to be replaced after an accident. Engine protect: Covers damage to the engine. Handy in areas that are prone to flooding. Also called as hydrostatic lock cover or engine and gearbox protector. Roadside assistance: Useful for those who frequently travel long distances. You get assistance in case of mechanical breakdown, including on-site battery jumpstart, tyre replacement, refilling of fuel and towing service. Want 45% discount on auto insurance?